JD Hickey’s latest CD “Did you Hear That?” features some of the Bard’s creepiest stories! Get ready to turn out the lights, listen to these tales, then turn all the lights back on and quiver in your bed, praying that the sun will return to banish the darkness! Download your copy today at CDBaby! 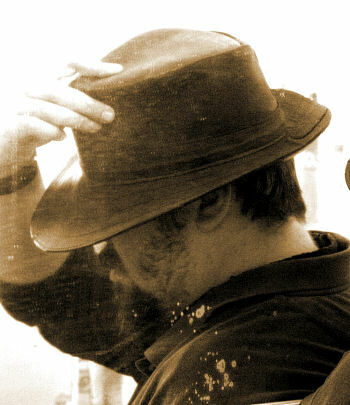 The Bard just got a new leather hat, and he loves it! So to celebrate his stylin’ new skullcap, he’s put together a collection of his favorite stories. These are stories that were recorded live at shows performed in Montreal, including schools, holiday events, and private concerts. The CD is now available to be purchased directly from Dave, but you can also order a CD or download the tracks from CDBaby. You probably know Jack as a mountaineer of beanstalks, but have you heard about his roles as story spinner, world-renowned hunter, or thief? There’s more to wily Jack than you ever thought possible, but now you have the chance to hear and read the REAL story behind Jack! Honest! 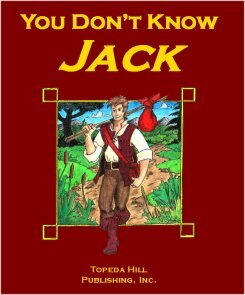 Unlike many other storyteller CDs, You Don’t Know Jack also comes with a book, complete with illustrations. The stories are written to be read and told to be heard; the written version is not a word-for-word transcription of the CD, which means you can appreciate both on their own merits! So if you get the book/CD, it’s like getting a two-for-one deal! This is tiny tome of classic tales that appeals to all your senses (if you’re adventurous enough!). You can buy a copy of the book/CD or download the stories as MP3s at CDBaby.